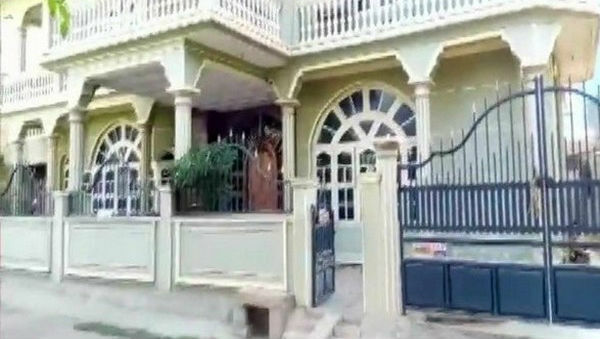 Maddur (Karnataka), April 16: Officials from the Income Tax department are conducting raids at the residence of Zilla Panchayat President and Janata Dal (Secular) leader Nagarathna Swamy in Maddur, sources said on Tuesday. Raids are also being carried out at Zilla Parishad member Timme Swamy's premises, as well as two firms belonging to Nagarathna, namely Someshwara Fertiliser and Saw Mill, sources added. Both Nagarathna and Timme are said to be close aides of Karnataka Chief Minister HD Kumaraswamy. I-T Officials Carry out Raids on K'taka Minister Puttaraju's Residence. Last month, I-T officials and CRPF personnel conducted raids at the residence of Karnataka Minor Irrigation Minister CS Puttaraju and multiple locations in Bengaluru, Hassan, Musuru and Mandya. Raids had also taken place at locations of 17 contractors and seven officers from the Public Works Department (PWD) and Irrigation Department.